Also Suitable for piano keyboard, accordion. 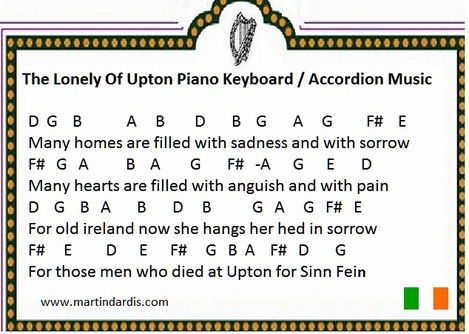 The sheet music at the bottom of the page uses notes that are a little different than the tin whistle version. The sheet music below uses slightly different notes than the other version.